58007 • Tamiya Lamborghini Cheetah • (Radio Controlled Model Archive) • RCScrapyard. 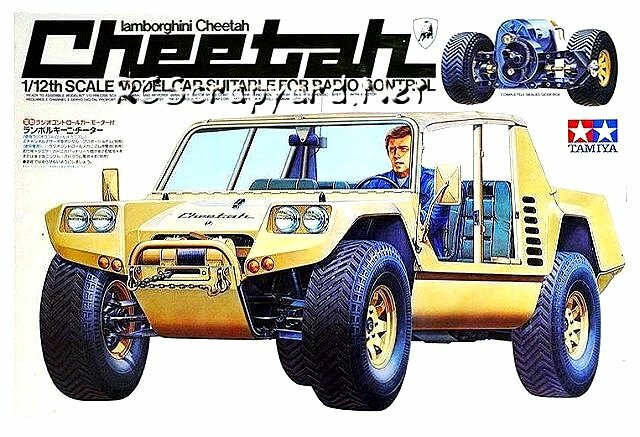 Released by Tamiya on June 14, 1978 and based on the same chassis as the XR-311 (#58004), the Lamborghini Cheetah was an off road racing Buggy, with a number of improvements over its predecessor. 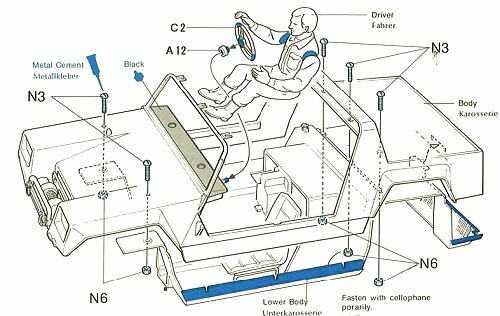 The mechanical speed controller provided in the Lamborghini Cheetah kit was variable, unlike the basic 2 step speed controller of the XR-311. 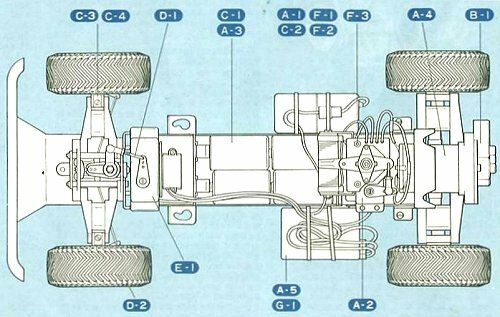 This allowed the power to be increased more gradually and also incorporated a brake. The pneumatic tires were exclusive to this model and complemented the detailed Lamborghini Cheetah body shell, typical of Tamiya. Unfortunately, like many of Tamiya's first cars, it was very fragile. The plastic torsion bars broke far too easily. The steering was poorly designed and imprecise making the car difficult to handle. However, for looks alone, the Lamborghini Cheetah is a must have for any Tamiya collector. Now very rare to find but are available occasionally.